The Success Question needs to be asked of all stakeholders because the definition of success can vary across a buying team/unit. This is another place that the salesperson can add value in helping the buyer to reconcile the divergent needs of different stakeholders. So do you agree with the number 1 questions – the Success Question? More important still do you ask it of your customers and prospects on a regular basis? By asking the Success Question you are sending a message to the customer that you care about and want to contribute to their success. That in itself is enough to distinguish you from others. More important still you are opening up a deeper conversation with the buyer and matching your solution with the buyer’s needs at the most fundamental level. How can you integrate stories of success into your lead generation materials? Do you ask your customers the Success Question when you first interact? Is defining success for the customer a key element of your needs analysis? Do you build your proposal around the customer’s definition of success? 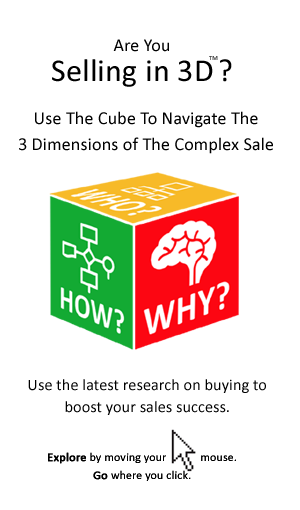 Do you move the buyer from price to value by connecting your solution with their success? 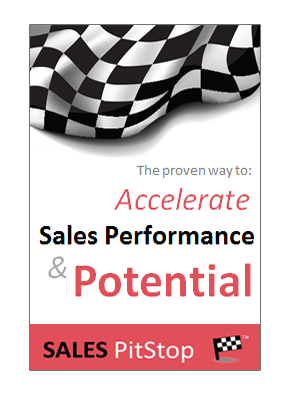 Do you check to ensure that success is achieved post the sale, as the basis for the next sale?